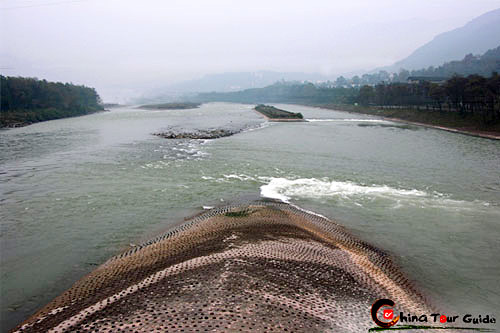 Of the eight major culinary cuisines in China, Sichuan cuisine is perhaps the most popular throughout the country and across the world. It is recognized internationally for its zesty spices and deep flavor. In Chengdu, chili is as common at mealtime as rice is across the rest of China, with the food often arriving glistening under a layer of bright red chili oil. However, the highly distinctive burn-your-mouth spices are not the food's only characteristic. Sichuan cuisine boasts a variety of flavors and different methods of cooking, featuring hot, sweet, sour, salty, or tongue-numbing. Novices may have a tough time adjusting to the hot spices, but diners should remember that the best chefs use spices not to overpower the rest of the flavors, but to enhance it and draw it out. Hotpot originally was a simple and hastily made dish for poor boat people keep warm in cold weather. Now it has become commonplace for anyone because of its numerous ingredients, and the variety of meat and vegetables used. There are numerous different flavors available including lamb and fish. With the steaming pot in the middle of table, groups of friends and family happily chat away as they cook and then pick out their favorite foods. These parties are a fun-filled social event where you can sit back, relax, and nibble away to your heart's content. 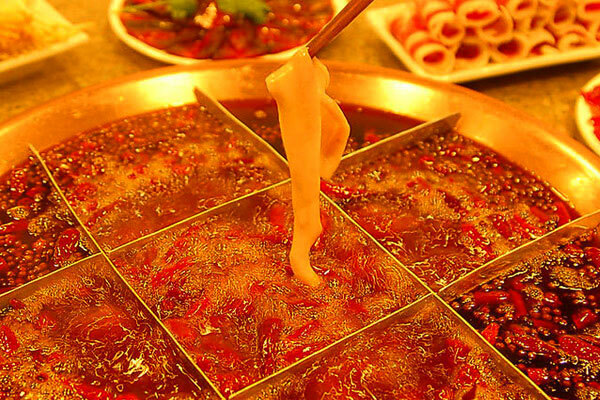 Top hotpot restaurants in Chengdu include Shizilou Hotpot Restaurant and Huangcheng Laoma Restaurant, which has opened numerous outlets not only in Chengdu but also in many other major Chinese cities. 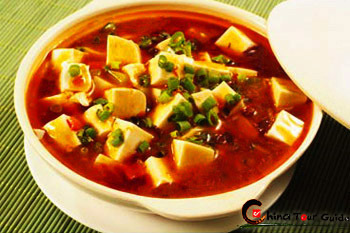 Ma Po's Bean Curd or Ma Po Tofu, is wildly popular throughout China and originated at a restaurant in Chengdu. The tofu is served hot and soft, covered in a spicy Sichuan peppercorn hot sauce and mixed with a small portion of minced meet. 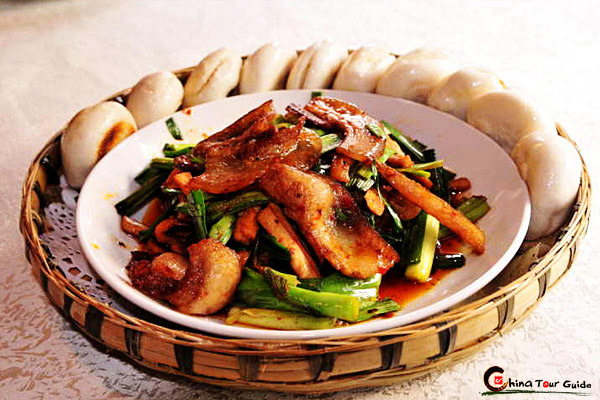 Chen Ma Po's Bean Curd Restaurant serves the most authentic one. This dish may well be the world's most popular Chinese dish. 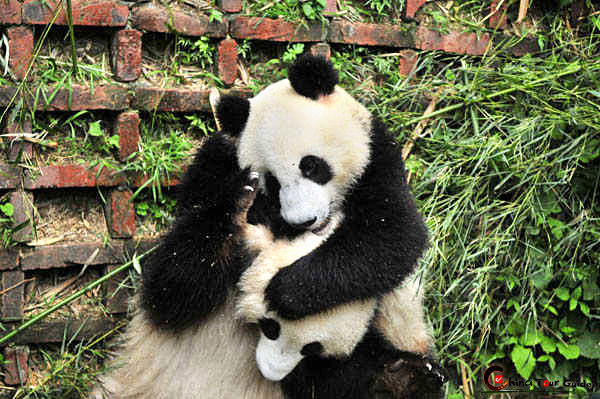 It is also one of the only recipes that has remained largely unchanged, despite the fact that it has been exported to Chinese restaurants all over the globe. Made from spiced chicken and peanuts, gongpao jiding blends sweet and sour flavors to create an internationally adored dish. The process of cooking this dish requires boiling pork rib steak chunks in hot water with slices of ginger and salt first. Then after being cut into thin slices, the pork is returned to a wok and shallow fried in hot oil. The most common vegetables to accompany the pork in this dish are cabbage and peppers. 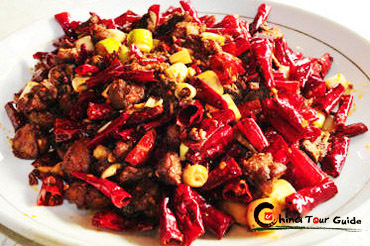 This is a cold dish unique to Sichuan that was created by an affectionate couple fifty years ago. Literally translated, the name of the dish means "Couples Lungs" but in fact, the dish is not made from lungs but from other inner parts. 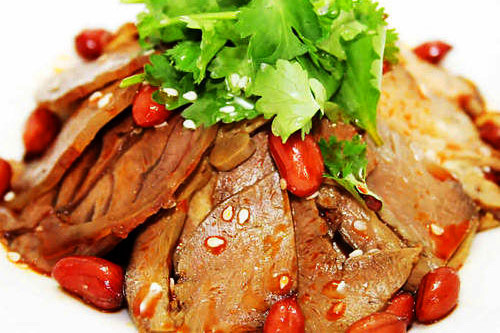 The meat is stewed in soy sauce and then served with chili oil, pepper, sesame, and peanuts. 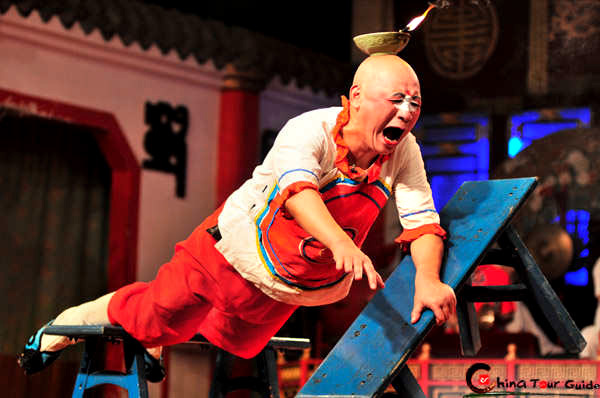 Ma La Tang, also called Chuan Chuan Xiang, is somewhat like hotpot.Sliced raw meats, entrails, internal organs, and vegetables are skewered on bamboo sticks and dipped into a pan of boiling spicy soup mounted above a heating device. 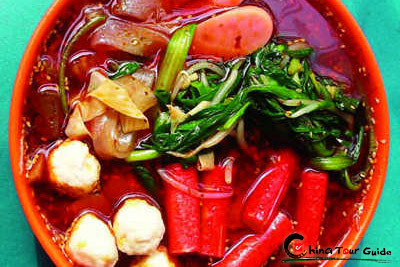 This is a traditional cold dishfrom Sichuan, which has recently become popular all over China, especially in the north. Noodles are first cooked and then left to cool. They are then served with bean sprouts and sauce, or eaten with shreds of meat: chicken, pork or ham. 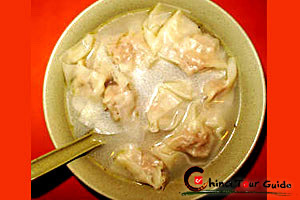 Commonly known in Cantonese and the West as "wonton soup", the dumplings bobbing in this light broth are soft, tender and stuffed with delicious ingredients.